I was thrilled to be invited to speak about race and identity as part of the Radio 3CR Tuesday Breakfast Summer Skool currently taking place. I was given an easy job due to the wonderful questions put to me by Lauren Bull and Ayaan Shirwa. You can listen to the podcast of the show which also includes the wonderful Abbey Magg and Edie Shepherd. 7.10 am We talk to Abbey Mag – Abbey is a social media influencer, event curator and social advocate of South Sudanese origin. Abbey joins us to discuss structural racism, misogynoir, the importance of representation, and why she does the work she does. 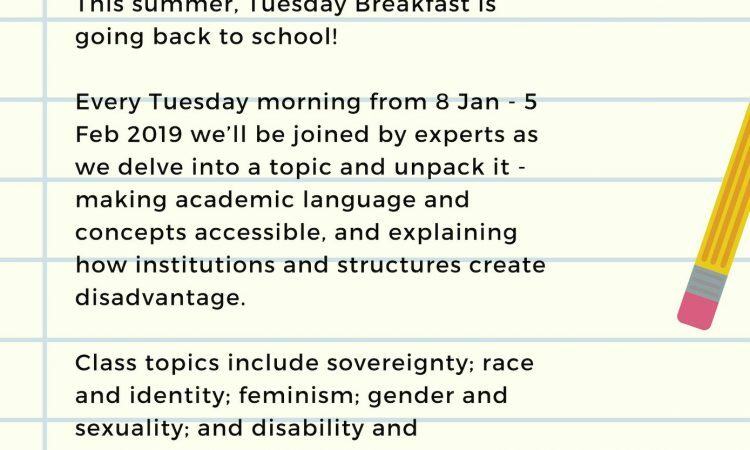 7.35 am (Parts 1 and 2 with a short break in between) We chat to Alana Lentin – Alana Lentin is an Associate Professor of Cultural & Social Analysis at the University of Western Sydney, President of the Australian Critical Race & Whiteness Studies Association (2017-19), and Member of the Institute for Culture and Society. She joins us to explain what we mean when we talk about racism, whiteness, institutional and structural racism, and much more. 8.15 am We talk to Edie Shepherd – Edie is a proud Wiradjuri and Ballardong woman, and the Aboriginal and Torres Strait Islander Organiser for the Victorian Trades Hall Council. Edie talks to us about how structural racism affects First Nations people, and how unions and union campaigns can contribute meaningfully to anti-racist work and movements for First Nations people.